After trying Ginseng in a variety of different forms such as tinctures, teas, capsules and powder, we have discovered that in an effort to increase profit many manufacturers dilute or otherwise adulterate their product with powder “fillers” or by using Ginseng of inferior quality. Therefore, we strongly recommend that you only use the raw Ginseng root. The first thing you need to know is the source of the root, or where it was grown. North Korean Ginseng, which is somewhat scarce and quite expensive, is considered some of the best. This is followed by South Korean Red Ginseng which can also be somewhat expensive, but as quality declines becomes more affordable. Then there is Chinese Kirin, which is readily available and cheaper but less potent than Korean Ginseng. And finally American Ginseng, which is normally cheaper and less stimulating than Asian Ginseng. The next consideration is the age of the root. 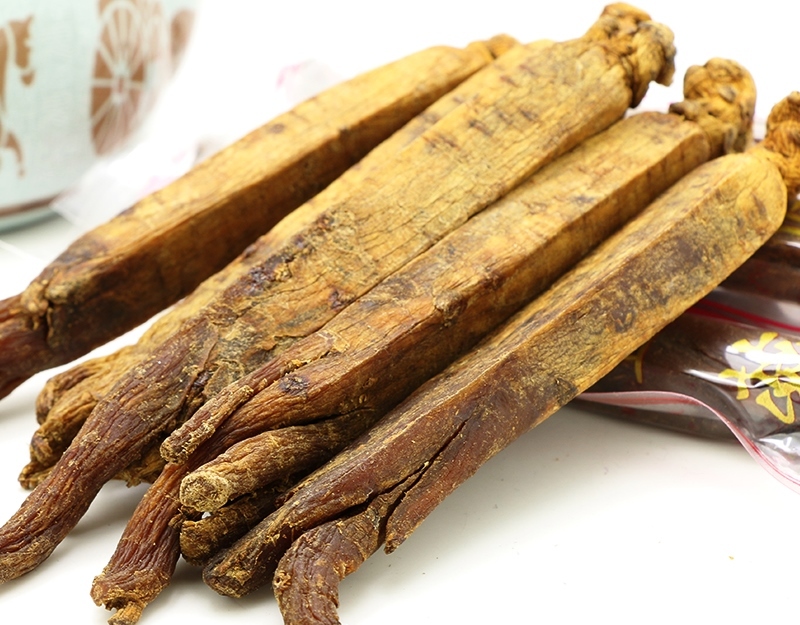 Try to purchase Ginseng that is at least seven years old (the older the better). The minimal acceptable age is six years old. Anything younger than that means the plant was not allowed to mature, and it is highly unlikely that it will produce the effects that Ginseng is famous for. Although it is fairly common to find cultivated Ginseng being sold by the individual root, for both practical and financial reasons, savvy Ginseng consumers typically purchase Ginseng in a metal container called a “catty.” A catty (also known as a Chinese pound) is actually 1 lb. 3 oz. and inside the catty is a sealed container of Ginseng. If the seal has been broken, it is advisable to not purchase it. All cultivated Korean Ginseng is assigned one of three grades that are a measure of the roots quality. The three grades are: Heaven (1st or highest grade), Earth (2nd best, but still excellent) and Good (3rd). Korean Ginseng has a simple numbering system used to indicate the size of the root:#10 (finest) #15 (large)#20 (big) #30 (good size) #40 (medium size to small). According to the standards outlined, the most desirable cultivated Ginseng would be Korean Heaven’s grade #10 that is a minimal seven years old. 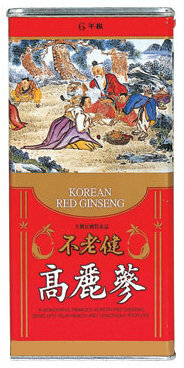 Finally, authenticity is always an issue for anyone purchasing Ginseng. Due to the high price of the higher quality Ginseng counterfeiting and deception is rampant, and all too often there is misrepresentation of Ginseng’s quality to the uninformed consumer. Our advice is to always purchase the highest quality Ginseng that you can afford, while keeping in mind the Latin phrase Caveat Emptor… Let the Buyer Beware! Here at Seaofchi.com we offer you access to two grades of the finest ginseng sold by the Korean Government, and the catty’s carry the official government seal of approval; click the below links for more information or to purchase. Korean Ginseng Ren Shen Graded Heaven 10, whole roots are in 21.16 catty (approx. 1–1/3 pounds)..
Korean Ginseng Ren Shen Graded Heaven 15, whole roots are in 21.16 catty (approx. 1–1/3 pou..